Ellen Atkins is the principal of Atkins Consulting and Extended Care Services in Greensboro, NC. With over thirty-five years of experience in financial services, Ellen brings to her clients a working knowledge of quality planning solutions and a vital connection to long term care providers. Ellen is a frequent speaker at local and state conferences about the importance of long term care planning and also on care giving for families affected by Alzheimer's and related dementias. She is also very involved with the Area Agency on Aging and the NC Institute on Aging, where she is a Fellow and 2010 Senior Leadership Initiative Graduate. This opportunity enabled her to work on a joint task force with representatives from the NC Departments of Insurance and Health and Human Services. The most important initiative of this task force is the Long Term Care Partnership, which became law in 2010. 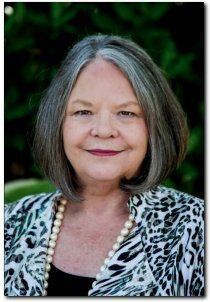 She is an active member and past president of several local organizations, including the Triad Retirement Living Association, the Health Industry Professionals Serving Seniors, the Adult Center for Enrichment, and the Guilford County Senior Services Roundtable. Professionally, Ellen maintains membership in NAIFA, the National Association of Insurance and Financial Advisors, the American Association for Long Term Care and the North Carolina Association on Aging. Beyond the time spent on her work and advocacy, Ellen enjoys visits with her family, as she is the proud mother of two sons and grandmother of four granddaughters.